This pillow are used by traditional healers to cure headaches, purify polluted minds, promote mental alertness and concentration, treat nausea. Restore strength and courage, and ward off evil spirits.Tuck your hangover pillow anong your bed pillows to inhale scents while sleeping. Knead pillow softly to awaken scent. 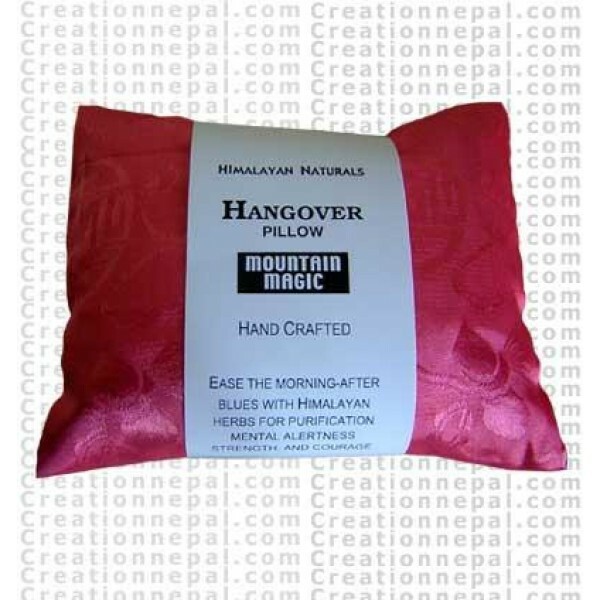 Your hangover pillow will remain pungent for up to 6 months after the packaging is removed, depending on climate conditions. Boost with essential oils.Ingredients: Juniperus indica, Foeniculum vulgate, Brassica rapa, menthe piperita.